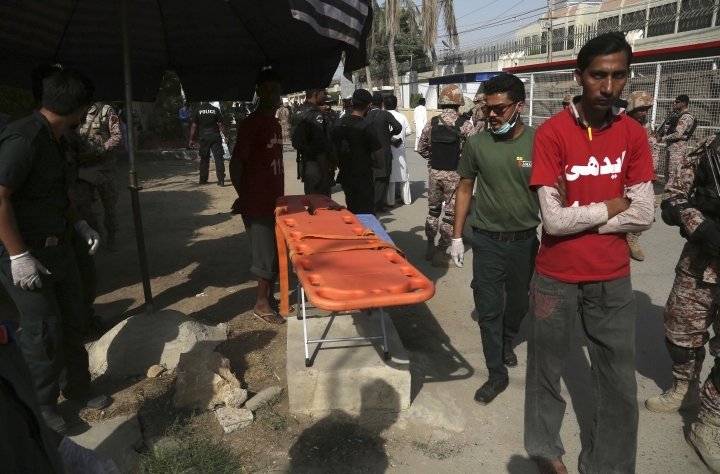 Pakistani police say the death toll from a bombing at an open-air market in the country's northwest has risen further and is now at 35. 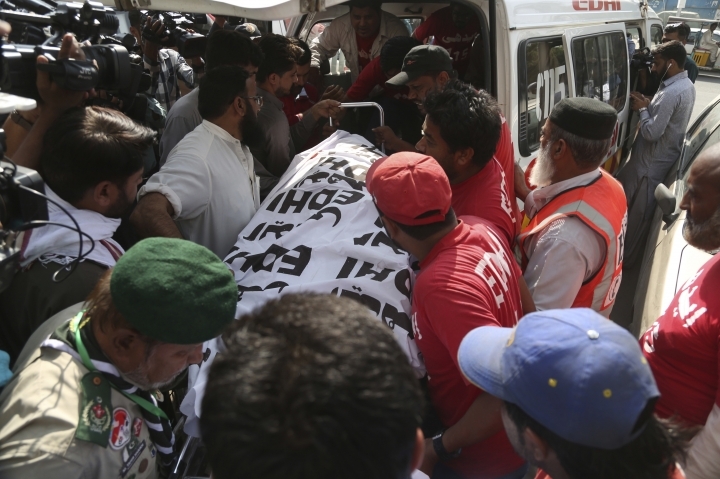 Pakistan's Prime Minister Imran Khan condemned the bombing, saying it was an "act of terrorism." 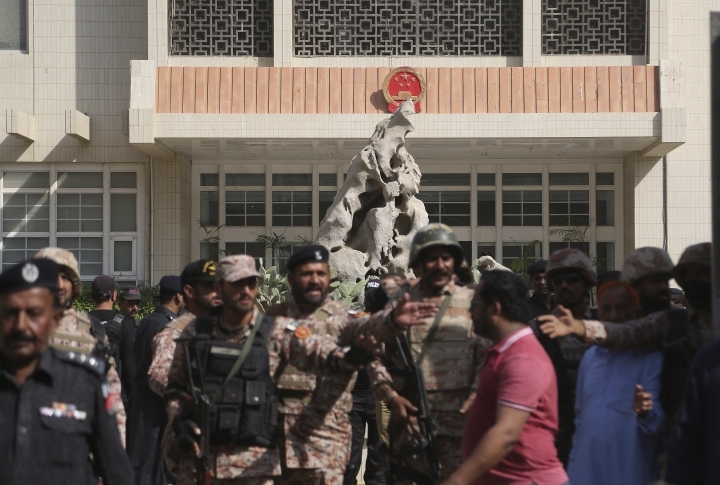 India's foreign ministry has condemned the attack on the Chinese Consulate in the Pakistani port city of Karachi, saying that "there can be no justification whatsoever for any act of terrorism." 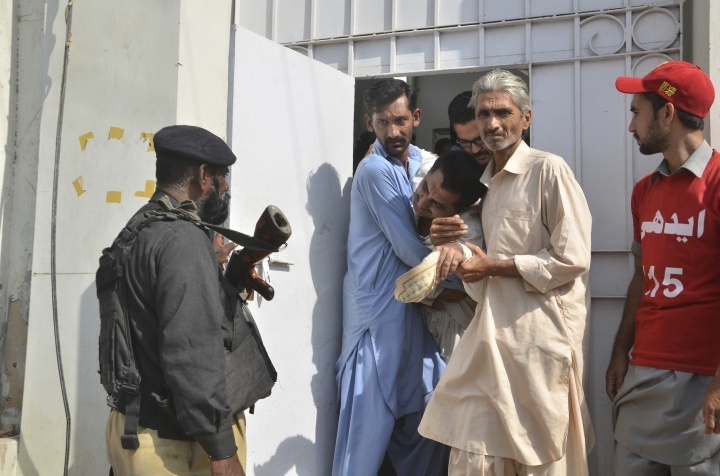 The attack on Friday was claimed by Baluch separatists, a militant group from Pakistan's southwestern Baluchistan province. 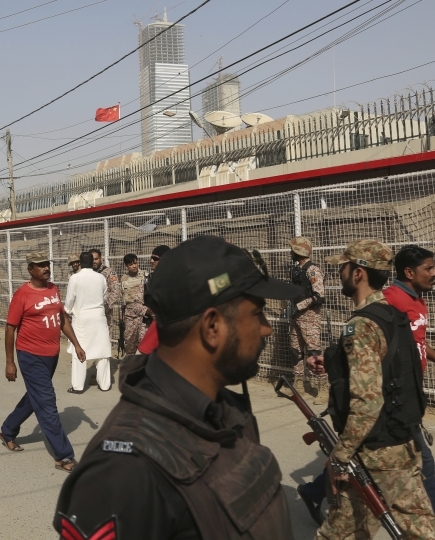 Two Pakistani consulate guards as well as two civilians, a father and a son who had gone t the consulate to seek visas to China, were killed in the attack. The statement from New Delhi says the "perpetrators of this heinous attack should be brought to justice expeditiously." It also added that "such terrorist attacks only strengthen the resolve of the international community to combat terrorism in all its forms and manifestations." 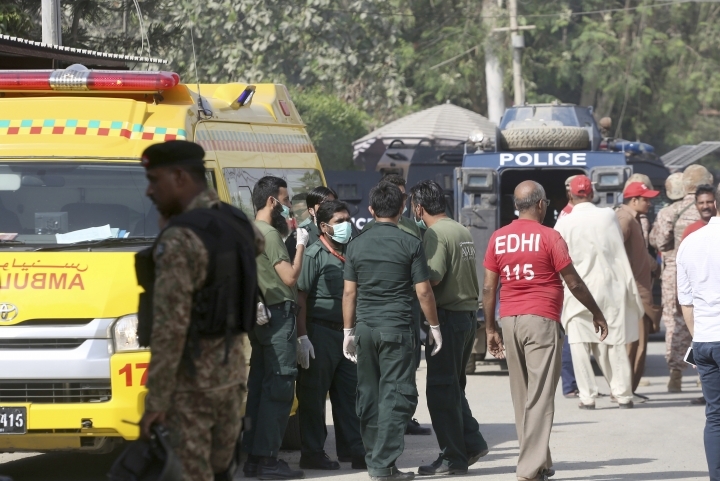 The three attackers and two police officers were killed in an intense shootout. 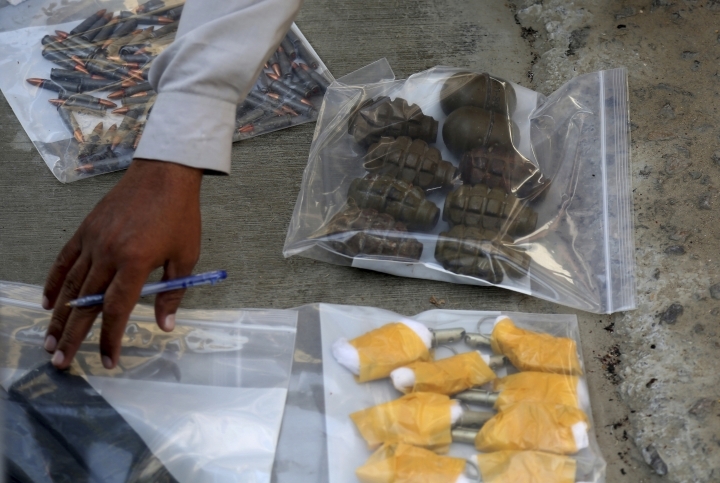 A separatist group from Pakistan's southwestern Baluchistan province claimed responsibility for the attack, saying it is fighting "Chinese occupation." 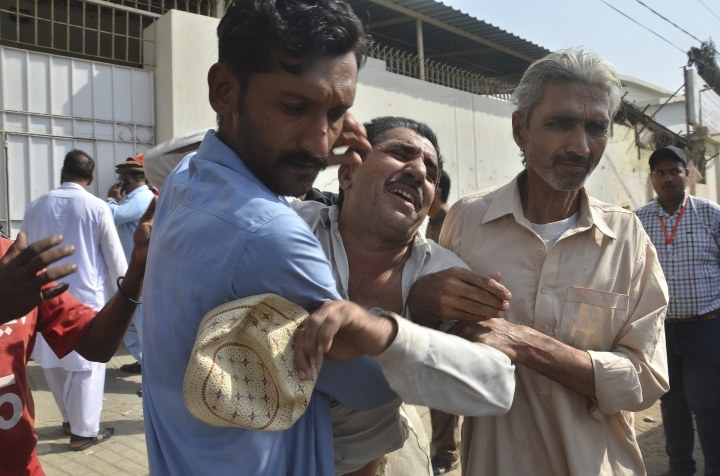 Pakistani police say the death toll from a bombing at an open-air food market in the country's northwest has risen to 25. 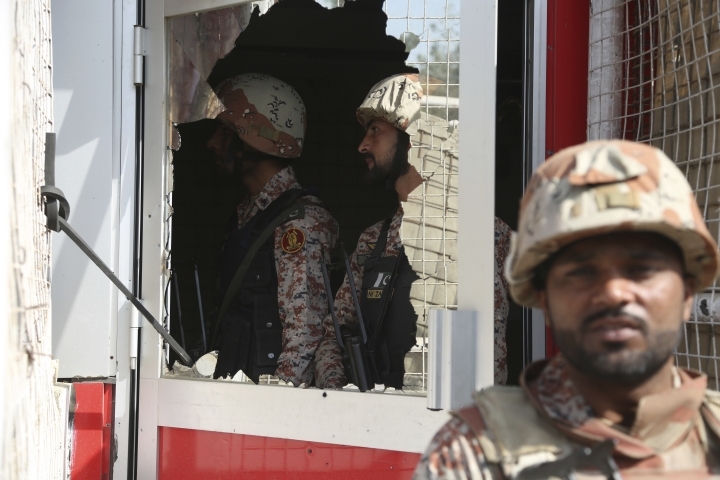 Pakistan's Prime Minister Imran Khan has "strongly condemned" the attack on the Chinese Consulate in the country's southern port city of Karachi, in which two police officers and all the three assailants were killed. Khan issued a statement, saying he has ordered a probe into Friday's attack. 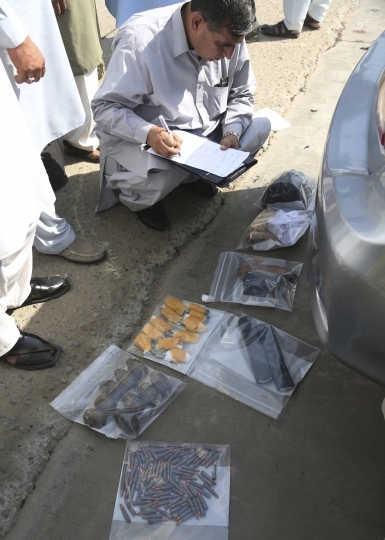 He described the assault as part of a conspiracy against Pakistan and China's economic and strategic cooperation. Khan vowed in his statement that such incidents would never be able to undermine Pakistan's relations with China, which are "mightier than the Himalayas and deeper than the Arabian Sea." Khan lauded the Karachi police and the paramilitary ranger forces, saying they showed exceptional courage in defending the consulate and that the "nation salutes the martyrs." 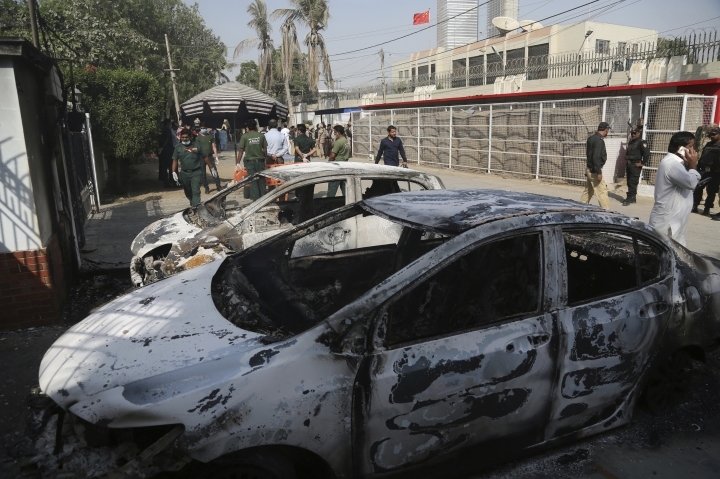 Pakistani police say a powerful bomb at an open-air food market in the country's northwest has killed at least 12 people, an attack just hours after armed separatists stormed the Chinese Consulate in the southern port city of Karachi. Ali says the tragedy has prompted local authorities to declare an emergency at the region's hospitals to handle the situation. Orakzai has been the scene of militant attacks in recent years, mostly claimed by Pakistani Sunni militants. 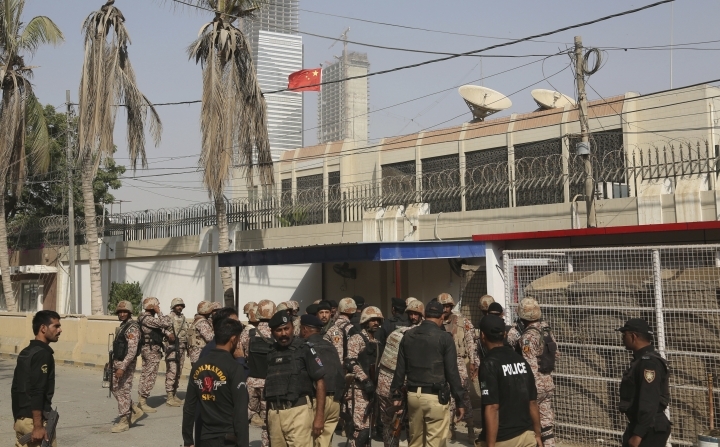 Pakistan's foreign minister says Pakistani security forces have foiled an attempt by militants to spread terror in attacking the Chinese Consulate in the southern port city of Karachi. Shah Mahmood Quershi described Friday's attack as a "conspiracy" against Pakistan and China, its longtime ally and friend. He blamed the "enemy of Pakistan" for the attack. He told reporters in the capital, Islamabad, that all the Chinese diplomats and staff members have been taken to a "safe place" following the attack. He says he has been in touch with them and that he will phone his Chinese counterpart to inform him in detail about the "successful operation in which Pakistani security forces sacrifices their lives to foil the conspiracy." 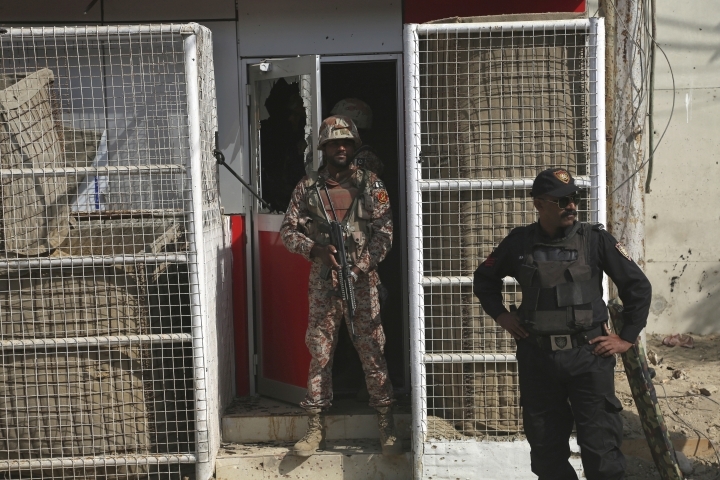 Pakistani officials say three gunmen who stormed the Chinese Consulate in Pakistan's southern port city of Karachi are dead, after an intense shootout during which two police officers were killed by the attackers. 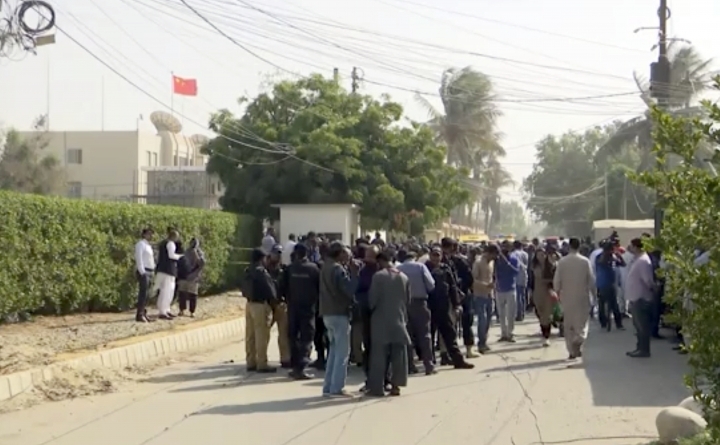 Pakistani police say gunmen have stormed the Chinese Consulate in the country's southern port city of Karachi, triggering an intense shootout during which two police officers were killed.